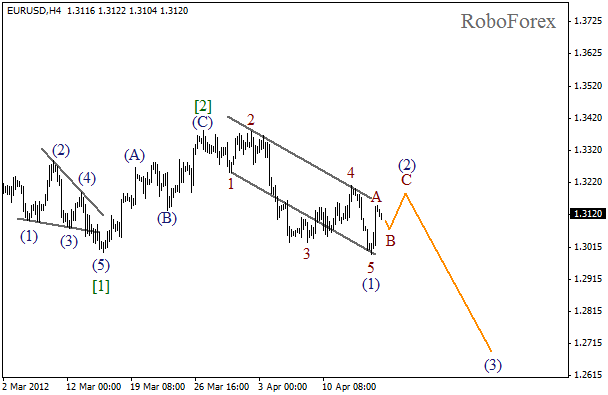 After finishing zigzag pattern in wave , the price continues forming an initial impulse in wave (1). Most likely, the pair will continue moving downwards during the week. 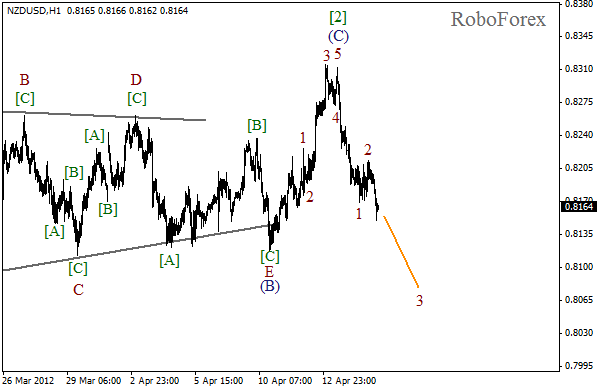 One of the first targets for the bears is at the level of 0.8000. Wave 5 of (C) has been completed reduced. After the price had finished an impulse in wave 1, the local correction started. Currently the market is moving quite fast inside the third wave. The forecast of the price movement is still bearish. 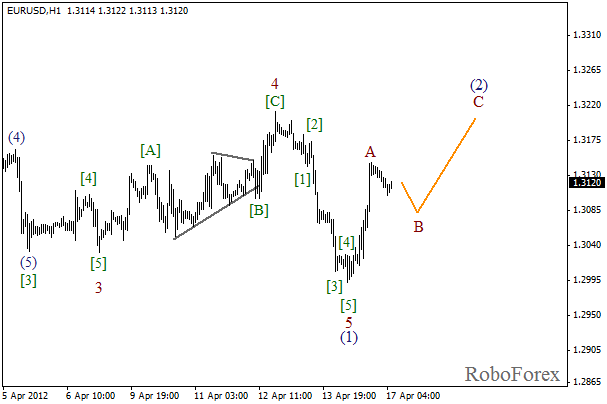 Yesterday the price finished forming an initial impulse in wave (1), and then the correction started. 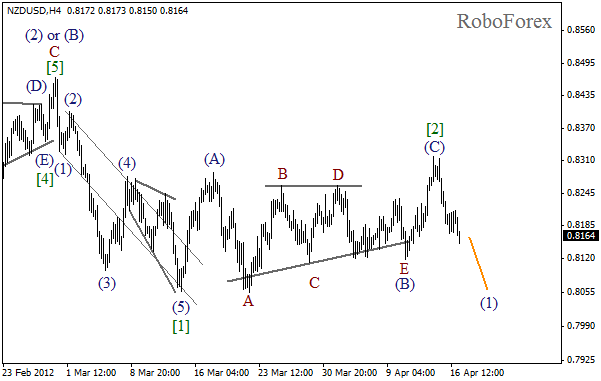 The correction is unlikely to take a lot of time, most likely wave (2) will be completed on Tuesday or Wednesday. After that we can expect the price to start moving downwards again while forming the third wave. More detailed wave structure is shown on the H1 chart. After finishing an impulse in wave 5 of (1), the price completed wave A. Currently the market is moving inside wave B, and after this wave is finished, Euro will show a local growth in wave C of (2).